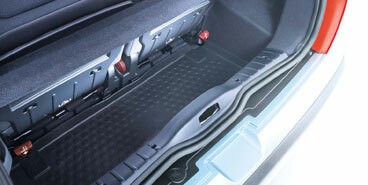 Homepage > PEUGEOT 1007 BOOT PROTECTION TRAY [Fits all 1007 models] 1.4 1.6 & HDI NEW! Manufactured from hard-wearing washable rubber. Easy to fit and remove, protects the original carpet of your boot area. Product Description: Manufactured from hard-wearing washable rubber. Easy to fit and remove, protects the original carpet of your boot area.